The basis of any culture is its philosophy. One of the most valuable contributions of ISKCON in society today are the books explaining the highest and most sublime philosophy in most simple words that provides practical solution to all problems at all levels. These are not ordinary books! Every year hundreds of thousands of Bhagwat Gita and other similar literature is distributed amongst all sections of society. By taking and reading these books people are able to rediscover the actual way to achieve happiness. These books are encyclopedias of religion and spirituality. They are also books of psychology and lifestyle management: they give spiritual solutions to the material problems of life and are relevant to all of today’s social, political and cultural issues. These books present the ultimate goal of life and give the reader practical and direct methods for achieving spiritual enlightenment. Because they deal with the basic philosophy that we are the soul and not the body, people from all backgrounds, from all countries, speaking any language and of all ages takes benefit from them. People often see that these books are the key to relieving their suffering, anxiety and stress. 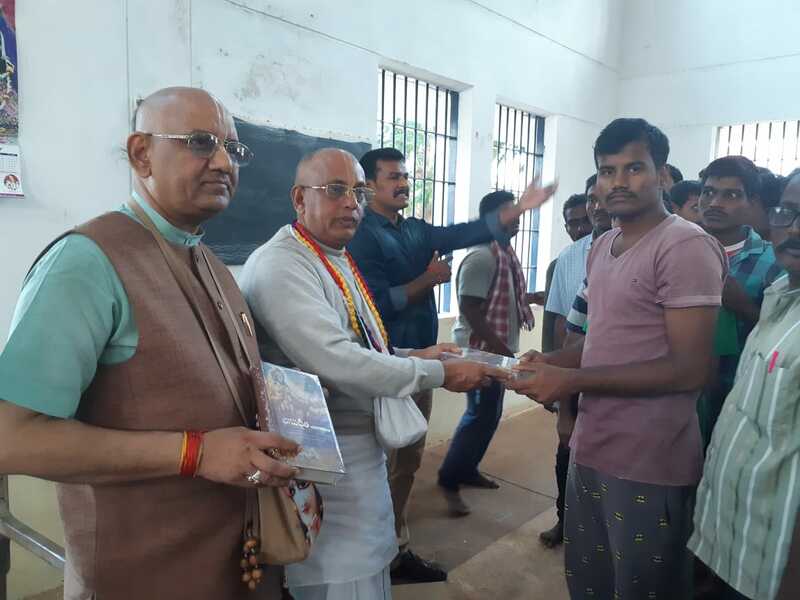 ISKCONs books are available in over 80 languages and the distribution team, here at the ISKCON Visakhapatnam temple, is distributing this transcendental literature to the people in and around Visakhapatnam every day. Anyone who makes a gift of this great work [Srimad Bhagavtam] on a full moon day attains to the highest perfection of life by returning to Godhead. 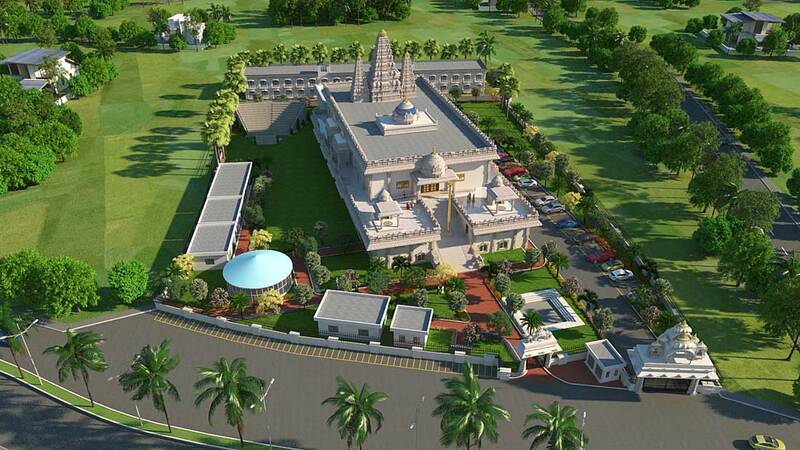 The International Society for Krishna Consciousness (ISKCON) is organising an eight-day ‘Bhakti Yoga Residential Summer Camp’ on its premises at Sagar Nagar from May 17. “Enrich your body mind and soul !!! Interesting intellectual discourse on Srimad Bhagavatam to empower your mind. 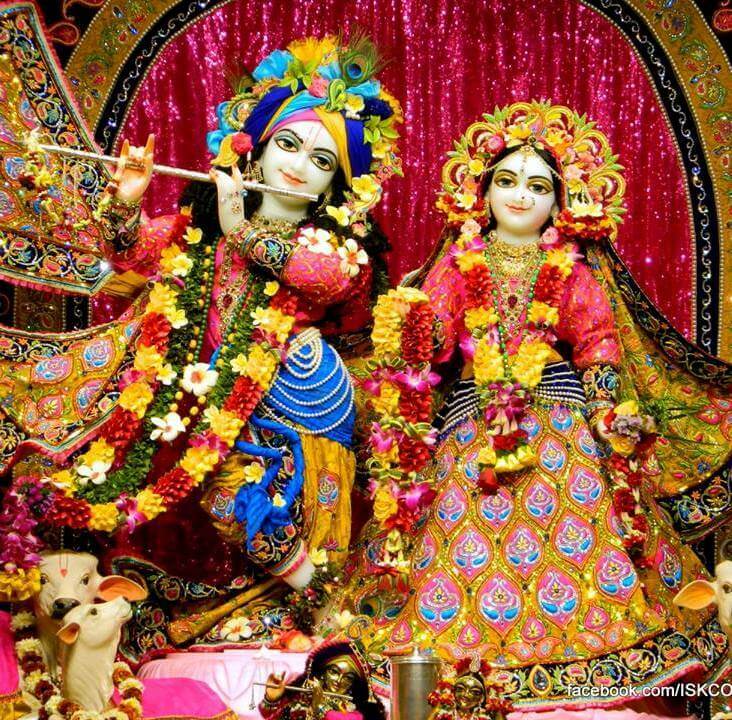 Heal your soul by a ecstatic Bhajan and kirtan of chanting the holy name of the lord, Finally and most important delicious prasadam for your body. The taste which remains forever. So what are you waiting for join us evening by 6 p.m.
Tulasi Arati, Bhajan & Kirtan, Discourse on Srimad Bhagavatam, Sandhya Aarati followed by Feast Dinner Prasadam. Srila Prabhupada writes: The human society should recognize the importance of the cow and the bull and thus give all protection to these important animals. 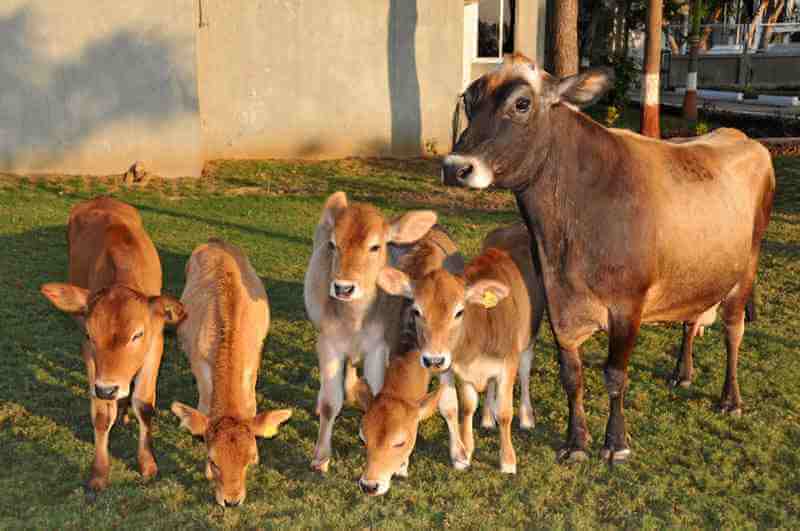 In Vedic tradition, cows are worshipped as mothers. Just like we send small children to nursery school, or preliminary, primary schools because that is the age, receptive age. Similarly Krishna consciousness should be taught from that childhood age.Therefore i wanted that on sunday, let people send their children here and we shall teach krishna consciousness. 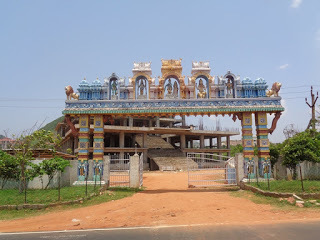 To facilitate those devotees who are inclined towards Krishna Consciousness but cannot come to the temple every day, ISKCON Visakhapatnam organizes Home Programs at various places. 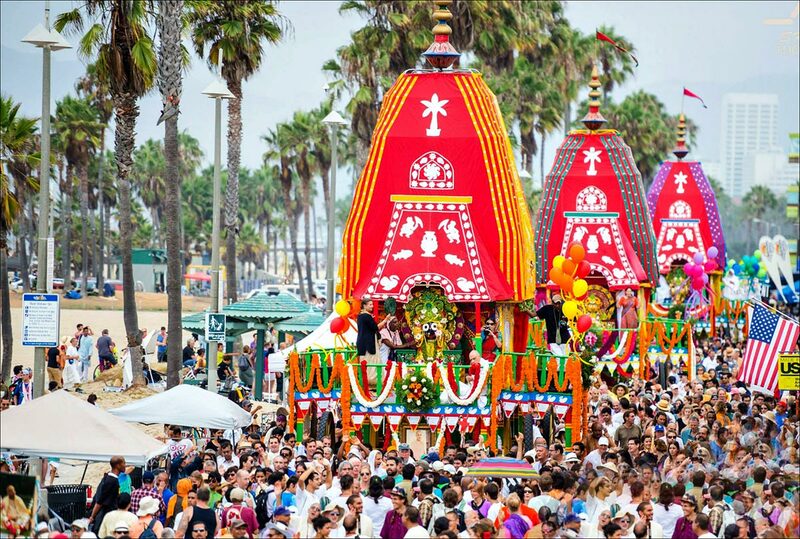 The Life patron program is an opportunity to become part of ISKCON’s international family. This program was introduced by the founder-Acharya of ISKCON, His Divine Grace A.C. Bhaktivedanta Swami Prabhupad, in early 70’s. 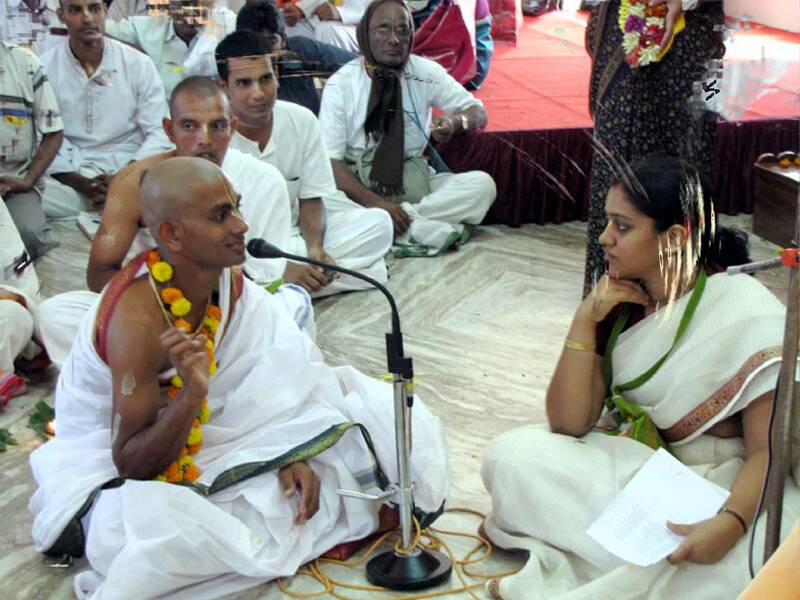 He invited anyone interested in rendering service to Krishna to become an ISKCON Life patron. 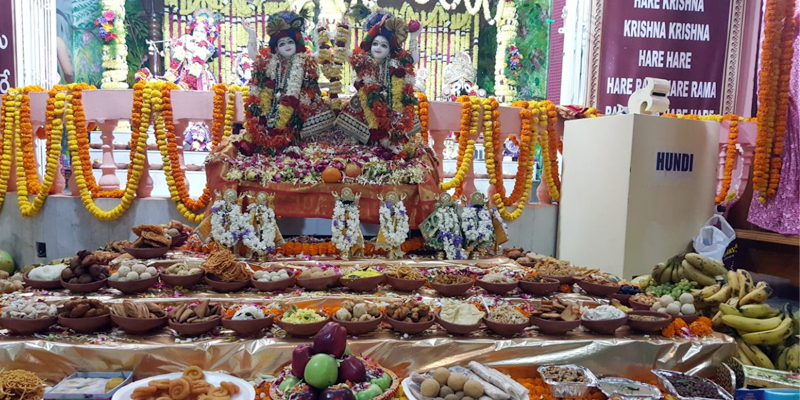 ISKCON Visakhapatnam organizes Spiritual Yatras every year especially during the month of Karthika (Damodar Mas), to the holy places like Vrindavan, Madhura, Mayapur, Dwaraka, Puri etc., for the benefit of devotees of Visakhapatnam to spiritually uplift them.